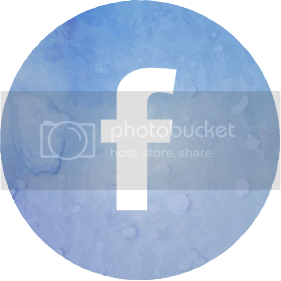 Decals are basically printed designs that you can transfer onto another surface upon contact. I know of three kinds of nail decals so far. 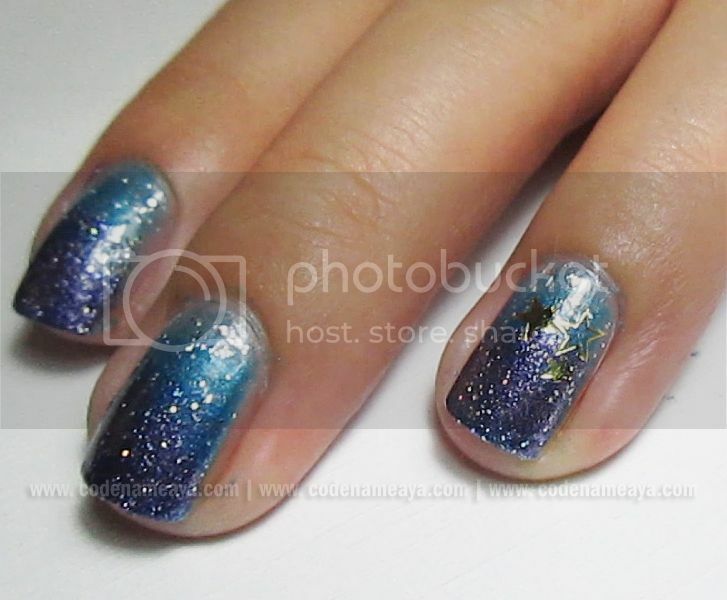 I planned on creating galaxy-themed nails but my blue-purple gradient turned out more blue and less dark than I hoped. 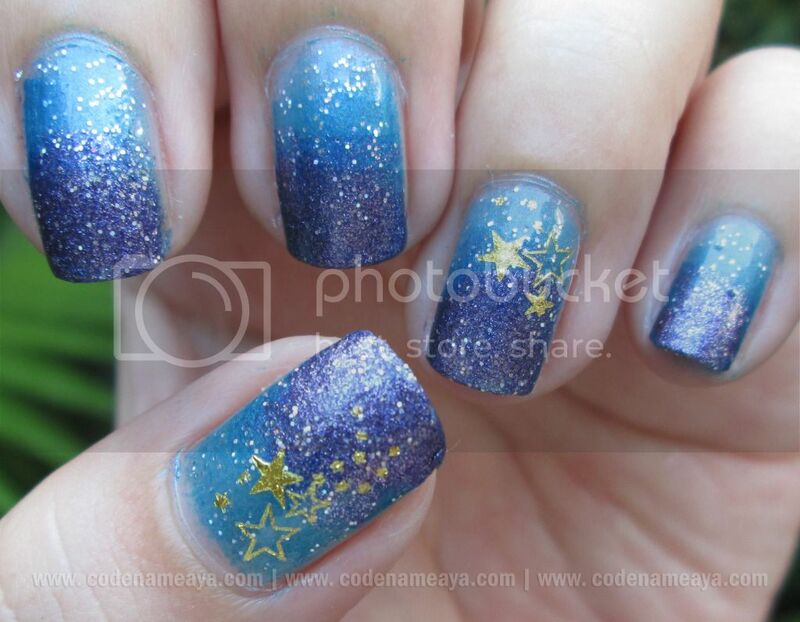 So I added stars to make my nails more galaxy-themed. 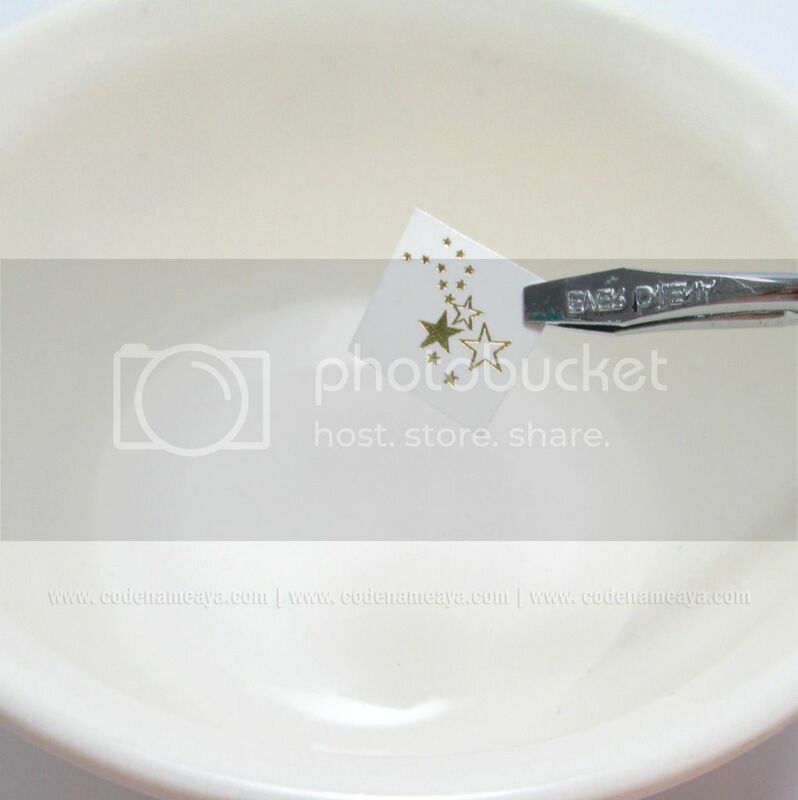 Applying water decals might be hard at first because they're not just like stickers where you just peel off and stick, but you'll get used to it. The particular nail decals that I used obviously couldn't cover up the entire nail. They're just add-ons to my nail design. Before you apply the decals, apply base coat and your base color/design. Let your nails dry completely first before proceeding to the next step. Now bring out the nail decals. 1. Cut around the design. Note: I cut off a tiny square piece but I suggest you cut along the outline of the design. Make sure to leave some space outside the design, though. 2. Dip the piece in a small amount of water. You won't be able to peel the design off while it's dry. Wait for the design to loosen up from the (white) backing paper, but don't wait for it to totally come off. You can check to see if it's already loose using tweezers. When it's loose enough, you'll be able to slide the design off easily from the backing paper using the tweezers. 3. Once it's loose enough to slide off easily, slide the design off a teeny tiny bit to leave just a teeny tiny bit of design hanging on the edge of the piece. Remove it from the water then position it on your nail. 4. 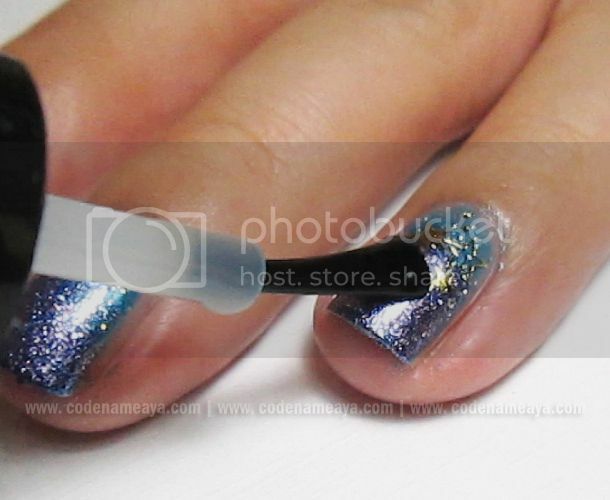 Once you've figured out where to put the design, lay the 'hanging part' on your nail. 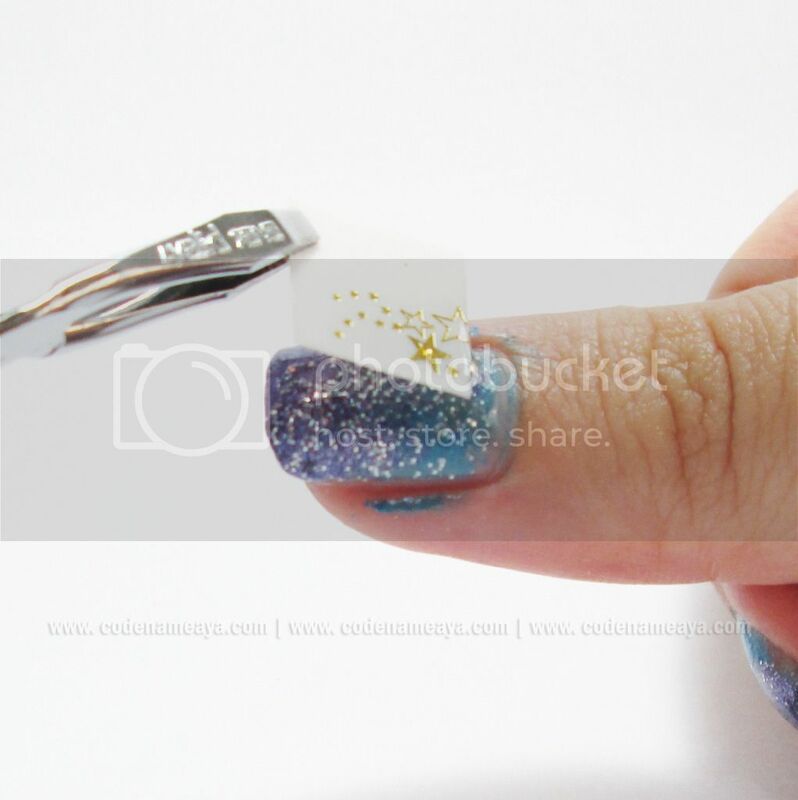 Slowly and carefully slide the backing paper off while letting the bulk of the design rest on your nail. 5. 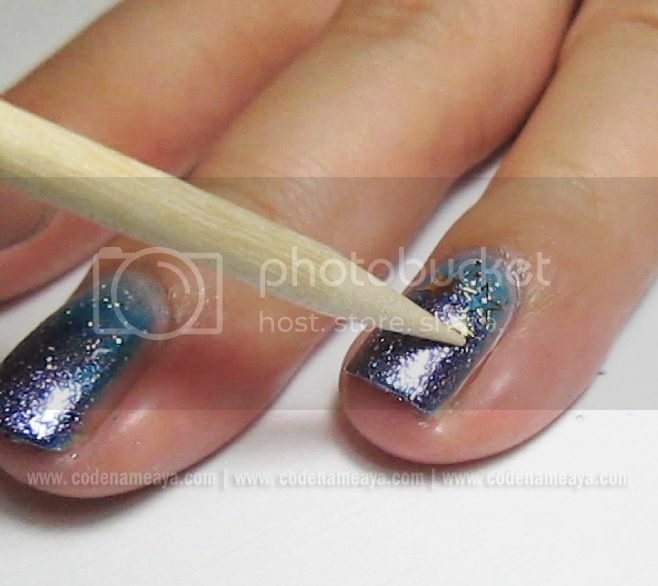 Use an orange stick to push the design flat on your nail, get rid of air bubbles and reposition the parts to your liking. 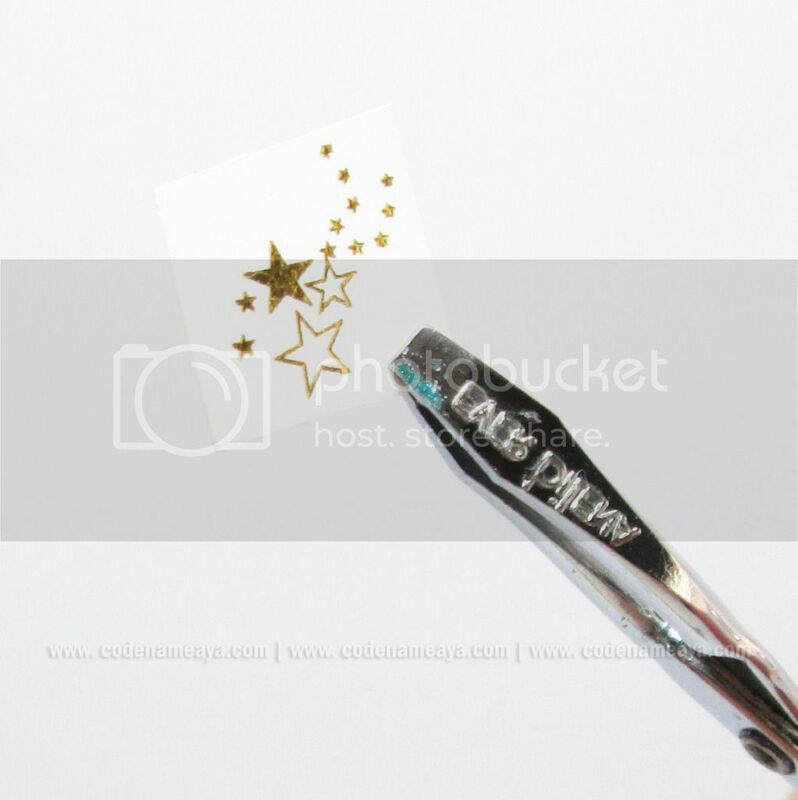 When wet, nail decals are not sticker-sticky so you can scrape them off or repostion them without ruining your base color. 6. Apply a layer or two of top coat to seal in the design. I chose not to put stars on all my nails. I chose the ring finger and thumb nails as accents. 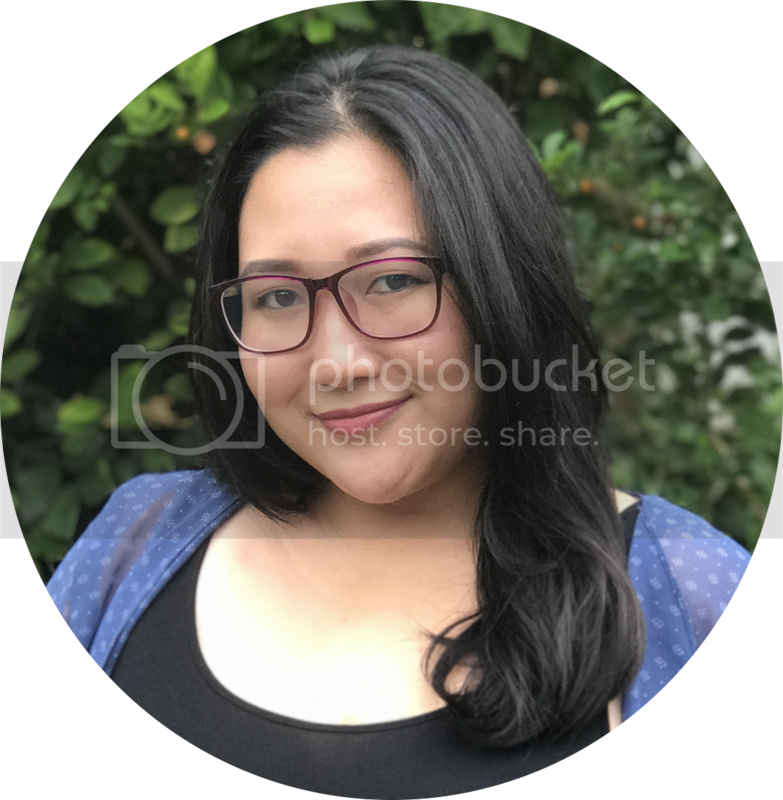 As you can see, my application wasn't the best but I think they're ok for a first-timer. I only wasted a few stars as I was trying to figure out how everything worked. Haha. The nail decals I used were from KKCenterHK, by the way. I like that these are so thin that you won't feel them on your nails, especially with top coat on. They stayed put on my nails for more than a week (until I changed my nail color). I think they would have stayed on even longer if I had just let them be. They came off with regular nail polish remover, too. 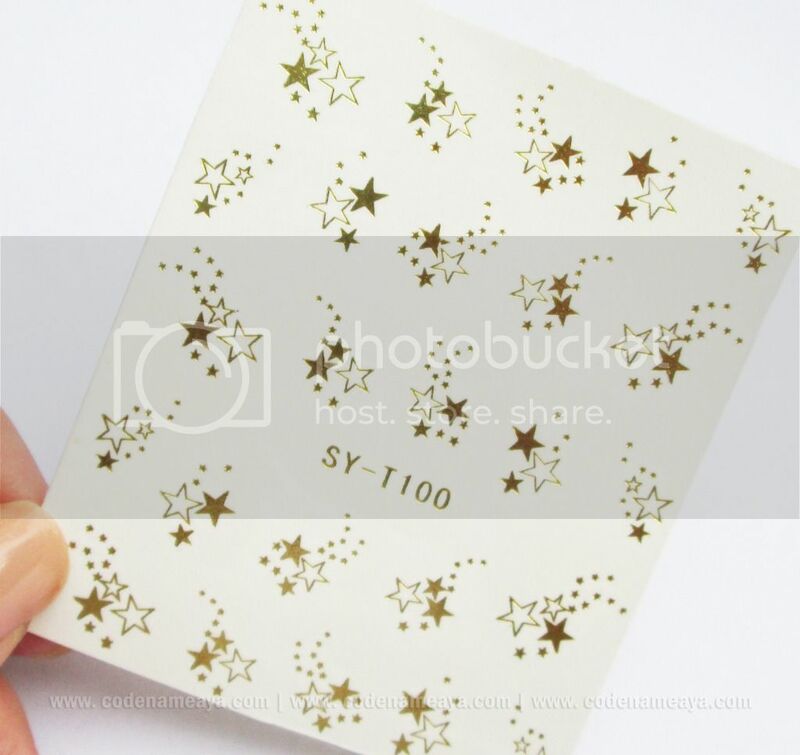 These are the N.NAIL Little Star Metallic Gold Water Decals (SYT100). 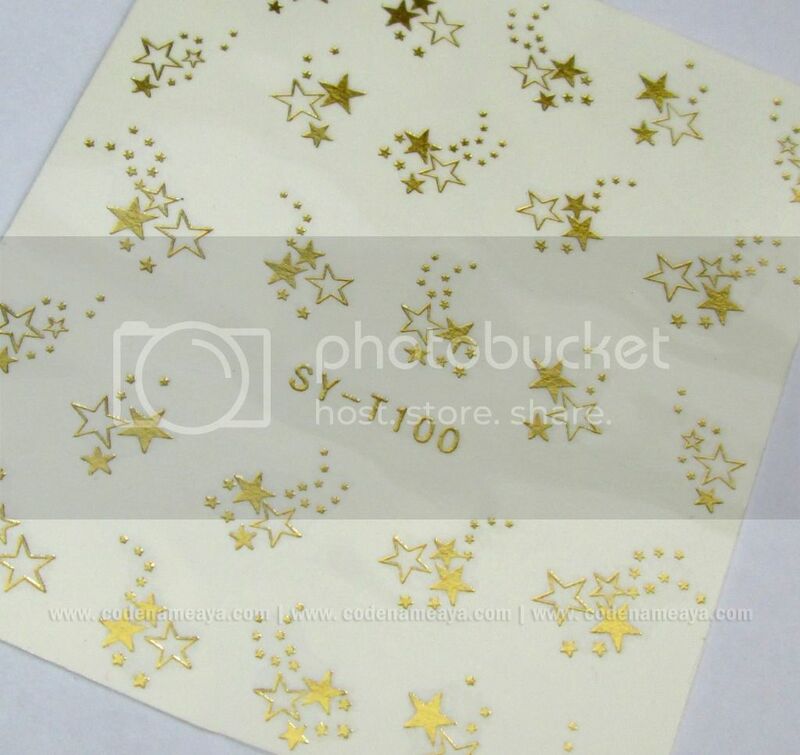 One sheet contains 25 decals which aren't all the same, as you can see in the picture. I think it's nice that there's variety and that you're not just stuck with just one pattern. You can get them *here* for $3.80 (~P173). You can use my coupon code *here* to get a discount :) A bit expensive for nail decals for me, but I really like the pattern. I can't wait to use it on other base designs! 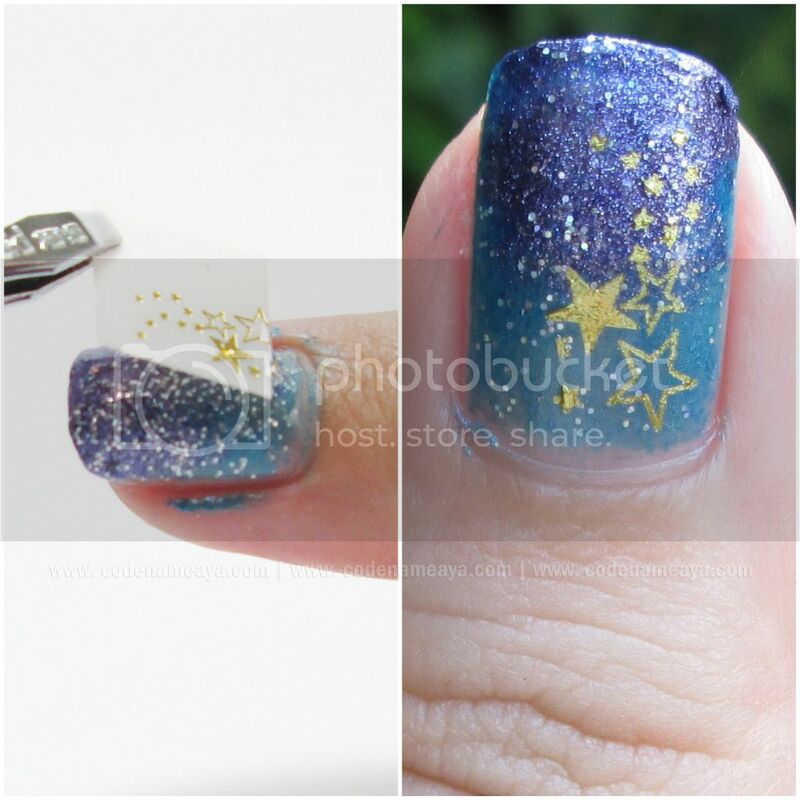 :) If you don't fancy stars, you can choose other designs. They have a lot, I tell you. 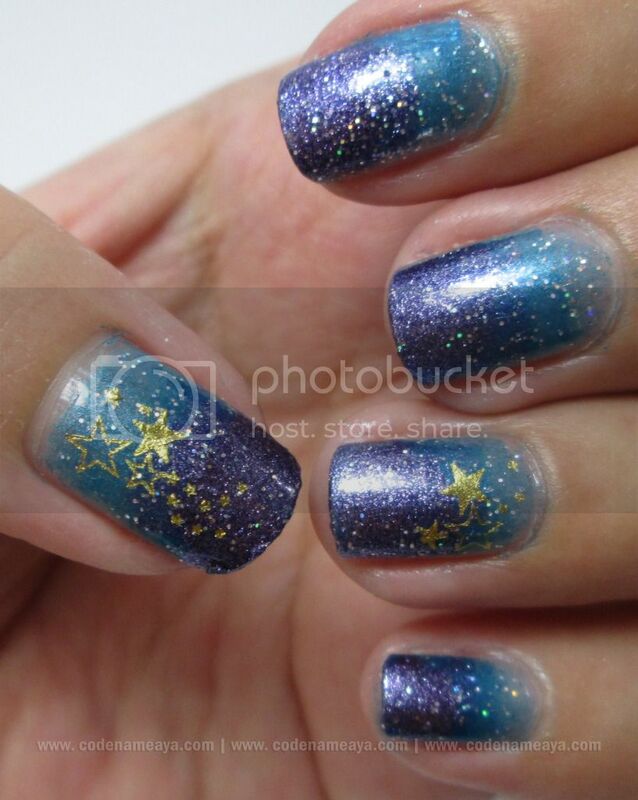 Visit their nail art section *here* to see all the nail water decals available. Disclaimer: Product was sent by the company for review but the views and opinions expressed in this post are purely mine and based on my own experience with the product. Embedded links are affiliate links. I haven't used this one yet. I normally use nail stickers but this is a great idea! Nice nails too! 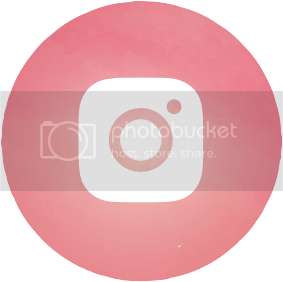 make a pink version of this one! I wanna see! Oohh. I need to try that!! I super love love your nails! 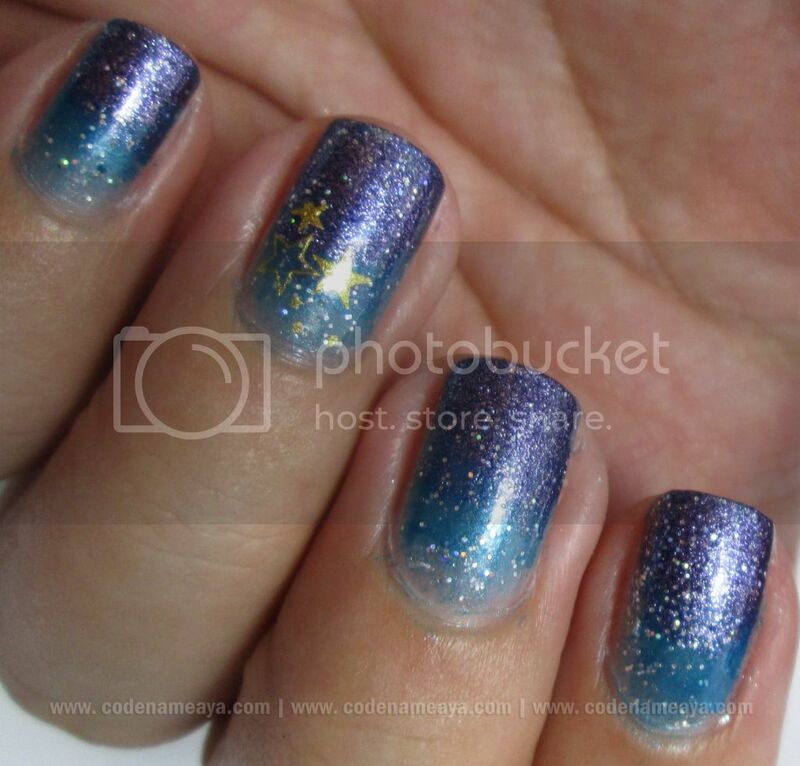 Love the galaxy feel and the touch of stars.. now if only I was as diligent as you in this area.. haha. Thanks for the tutorial, where can I buy water decals?